This certificate is provided on the base of the FSSC 22000 certification scheme. 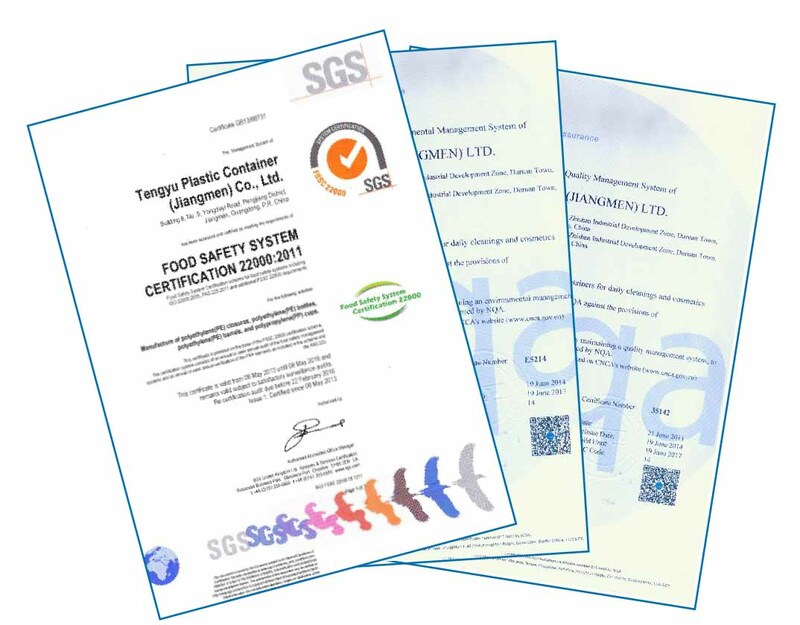 The certification system consists of an annual or semi annual audit of the food safety management systems and an annual or semi annual verification of the PRP elements as included in the scheme and the PAS223. This registration is subject to the company maintaining an environmental management system, according to the ISO 14001-2004 standard, monitored by NQA. The information of this certificate can be checked on CNCA’s website (www.cnca.gov.cn) and SNQA’s website (www.snqa.com.cn). This registration is subject to the company maintaining a quality management system, according to the ISO 9001:2008 standard, monitored by NQA.